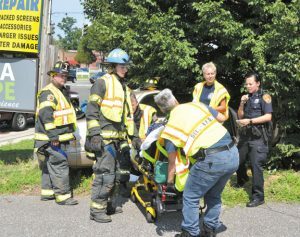 The Selden Fire Department was activated for an MVA on July 27, 2018, on Middle Country Road just East of Highview Drive. Units arrived to a single-car accident with the car crashing into a tree. The driver and the passenger were transported via Selden Ambulance to Stony Brook University Medical Center.